Oregon and Ohio State will battle in the first championship game in the new playoff format. After what indeed felt like a tremendously long season, the curtain has been drawn; revealing the final stage in what should be an epic showdown for the ages. The Oregon Ducks will go head-to-head with the Ohio State Buckeyes in the 2015 College Football Playoff National Championship, with the event taking place on January 12. In the drama-filled inaugural season of the new playoff system has officially came to its finale when the two showcase semi-final matchups concluded. 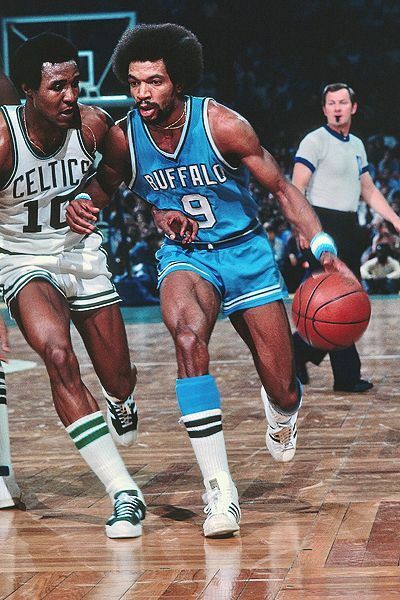 This game will be something for the memory banks, as two powerhouses collide in a show unlike what any of our eyes have witnessed thus far. That’s a Guarantee. Which Team Will Keep Rolling? The Ducks just did what was thought to be the impossible by putting an untimely beat down upon the defending champions, the Florida State Seminoles. 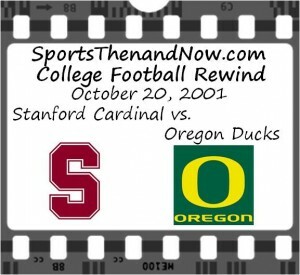 Ending the team’s magical win streak of 29 games, with a bewildering loss which resulted in the 59-20, Oregon victory. Urban Meyer is easily considered one of the greatest coaches in the game, if not all-time. The Ducks however, have one of the most elite groups the sport has ever seen in the entire nation within the last half-decade or so. The team features one of the most skilled and readily utilized quarterbacks in the Heisman winner Marcus Mariota. A seismic shift in the gridiron status quo occurred in Week 11. Alabama awoke from football nirvana, their dreams of repeat glory squelched by “Johnny Football” and the Texas A&M Aggies last Saturday. In the meantime outside SEC Land, the cream of the crop in the Big East, Louisville crashed and burned at Syracuse. Another undefeated went belly up. Plus, in Iowa City, the hometown Hawkeyes had their wings clipped by the Purdue Boilermakers 27-24. Can the Hawks get any lower? No, they are officially in the basement of the Big Ten sitting beside Illinois, waiting for this season to blow over. Ultimately Zultan went 7-3, losing those three contests last Saturday. 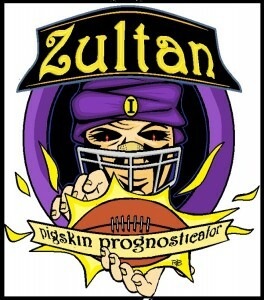 Some of you equaled—but none surpassed Zultan in Week 11. With only two weeks left in the regular season, this week’s contests become exponentially crucial as teams pray for bowl bids. 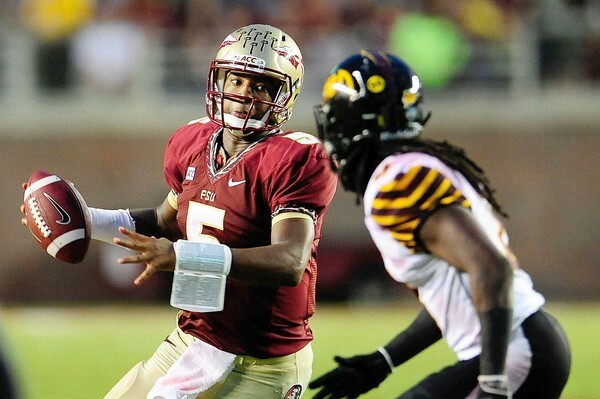 The final BCS standings await the next two rounds of upsets. Here is your next to last chance to outshine the premiere Pigskin Prognosticator. Make your picks for Week 12 to try to outguess Zultan and see your name up in lights—figuratively speaking, of course. After three crazy college football weeks LSU and Alabama are back on top, but can they stay there? After three crazy weeks of college football upsets, looks like we are right back where we started the month when trying to determine which college football teams will play for the national title in January. 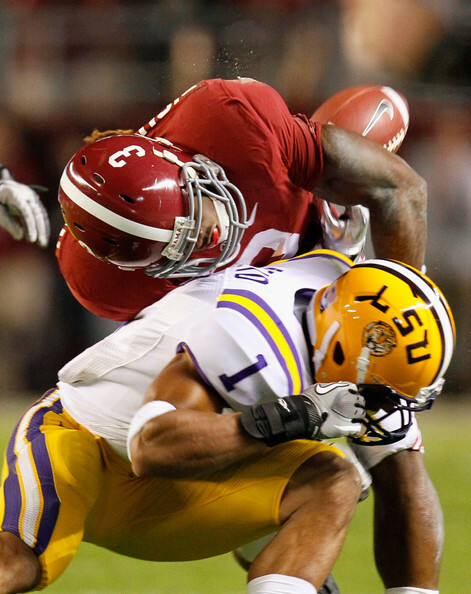 We began the month excitedly waiting for the matchup of the year between top-ranked LSU and second-ranked Alabama. The general consensus at the time was that they were unquestionably the two best teams in college football. While the game did need overtime before LSU emerged victorious, few were willing to call the 9-6 defensive struggle a thriller. Granted, both teams had great defenses, but Alabama missed four field goals and neither team played with the offensive confidence you generally expect from a top-ranked team. Except for a few folks from the SEC, most across the country were not interested in a potential rematch and glad that there were several undefeated teams, including Oklahoma State, Stanford and even Boise State still in-line to serve as LSU’s opponent in a national title game. However, two of those teams took a tumble the very next week as Stanford was rocked by a suddenly resurgent Oregon (which had been unimpressive in an opening loss to LSU, but had quietly started playing like a national title contender again) and Boise State had its dream of finally making it to the title game snatched away by TCU. This weekend was expected to be more like a place-holder weekend as most BCS contenders were prohibitive favorites and biding time for big games over the final two weeks of the season. In the era of the Bowl Championship Series, there have several occasions where an unranked team has pulled off an upset of a team that has been in the top-10 of the BCS standings or a serious contender to get the national championship game. 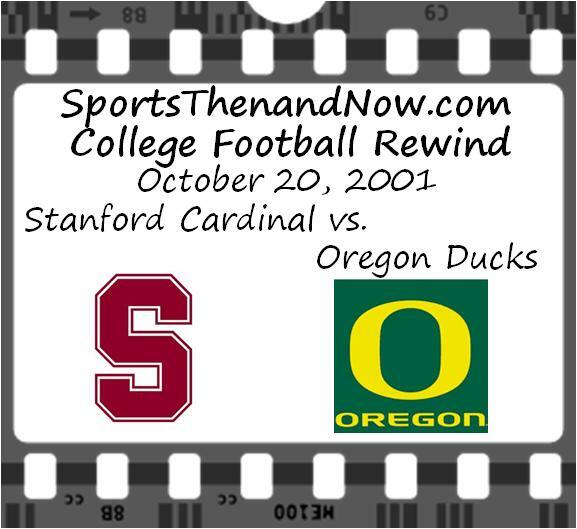 Such was the case on October 20, 2001 when an unranked Stanford Cardinal traveled to Eugene, Oregon and upset the heavily-favored Oregon Ducks. Entering the 2001 season, expectations were high for Oregon as they were coming off a 10-win season and a Holiday Bowl win from the previous season and earned a top-ten ranking in both the AP and Coaches’ preseason polls. The Ducks were led by head coach Mike Bellotti, who in his seventh season as the Oregon head coach and had complied a record of 49-22 in his first six seasons, and featured a Heisman Trophy candidate in quarterback Joey Harrington. Oregon entered the game with Stanford having won their opening six games of the season and had moved up to #5 in both polls, still very much alive in the race for the national championship. While Oregon had aspirations for a national championship, Stanford was just hoping to have a winning season and get to a bowl game.